I came home yesterday with the anticipation of being home, trying to not let all the family troubles get to me, but as soon as I got to the living room and I looked at our tree, my mom sadly commented in tagalog, “Aw look at our tree, no gifts this year.” I know its been a rough year, especially these couple of months, but I was looking at the tree and didn’t care what was or what wasn’t underneath. Lets just say it was a lot different from last year and the many years before that. I reflected on my Christmases before and how long it took for our family to unwrap all the gifts, as the years got harder, the gifts under the tree got less and less, and the unwrapping of gifts were prolonged to make up for the lack of gifts. I can’t say that my family was materialistic, we just loved buying stuff and getting stuff for each other…this Christmas truly reveals that family and good food is more important that anything I will ever get wrapped underneath a tree. My sister, she has been out of a job for almost 2-3 years now. Its been rough because she was the main financial bearer for the family. When my sister had a job, our family had everything. I took advantage of that a lot…I took it all for granted. My sister is super smart and can do anything – she just can’t work. So now shes left being my mothers companion every day – helping around the house, going out for some fresh air, and doing house work. Before, she never did any of that because she was busy working. My sister is religious and well she knows she has to trust God in all this – which she does. I’m waiting for next month to help her get back to the process of everything. Hopefully she’ll have a better 2010. I’ll help her…I need to. She cooks for me and makes sure I have food…this Christmas she has a lot to worry about, but a lot to look forward to. My second brother is the one who didn’t get the job from google. Hes well qualified and he passed the test, he just can’t work. I overheard my mom saying he was crying when he found out this morning. He had a job a year ago and that Christmas was a little better because of it, but he was laid of months later. He hasn’t found a job since. All he does really is stay in his room…I don’t know what else…he downloads movies and plays video games…but he stays in his room. I feel bad because he really needs a job cause he deserves so much more. I remember he bought the coolest Christmas presents for everyone…he was thoughtful…now – he puts what he can on the table and prepares the food. This Christmas isn’t really starting off great for him after the sad news this morning, but I know he’ll make it out soon…actually…I really don’t know. He’s going to mass with us tonight, like he always does once a year, maybe he’ll pray for something good to come his way. I’m sorry that I felt like I had an UNSO Christmas feeling this whole time…I gotta make my life worth it, I gotta make LIFE happen, I gotta do this even if it hurts me…I leave Dec. 26th – early in the morning for work. At least I get to spend time with my family for two days…at least I have a family. Its been a hard hard year…I’m been trying my best to look at the bright side of things…but family is first, then me, then the rest of the world – and if my family ain’t doing good – why should I? 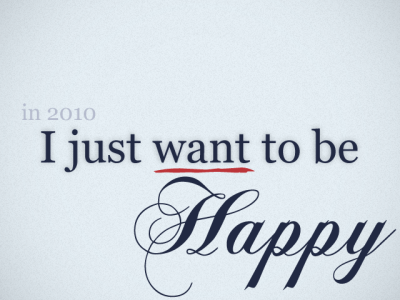 I don’t think its right…I rather suffer with my family than be happy without them. 2010 will be a lot better. I just wanted to send you some love and positivity. I know it’s hard right now, but things will get better. You just have to continue to hold on and keep moving forward. Look for brighter days each breaking dawn because new possibilities and new beginnings are on the horizon.